The Acumatica Manufacturing Edition (AME) is well-equipped to handle the challenges of growing manufacturers as they plan to replace their outdated systems in 2018. Small to medium-sized manufacturers (SMMs) make up about 90% of manufacturing businesses (attribute to) and a majority are running on systems augmented by manual processes that hamper growth. When your current system is too expensive to manage and maintain, hard to use, not integrated, not supported and doesn’t provide the information needed to make key business decisions it’s time to explore options. The Acumatica Manufacturing Edition is a modern Enterprise Resource Planning (ERP) system designed for Manufacturers that offers a faster return on investment while increasing productivity and profitability. Flexible Licensing – You have unlimited user licensing without being charged for additional users. The pricing is based on the features you activate and the volume of business transactions as your business grows. You only pay for the features you need. Flexible Deployment – You choose the deployment option that best fits your business. With the SaaS there’s no software to install since Acumatica runs on a browser that you choose. You also have the option of installing Acumatica in a private or public cloud. Of course, you have the mobile options including smartphones and tablets that you’d expect in a modern system. Acumatica can also run on tablets, a big favorite for accessing data in warehouse operations. Real-time Access to Data – You have greater visibility on inventory availability and the shop floor to make better decisions with up-to-date information. The integration of data across all departments helps to increase internal collaboration, enable your teams to meet customer demand and improve customer service. Modern Manufacturing Features to Simply Manage the Complexity – You have access to the sophisticated functionality of an enterprise level manufacturing system with the ease of use you’d expect to help the workers get the jobs done quickly. Here are the top features that help control manufacturing costs by balancing supply and demand. What Types of Manufacturing Companies are a Good Fit for the Acumatica Manufacturing Edition? 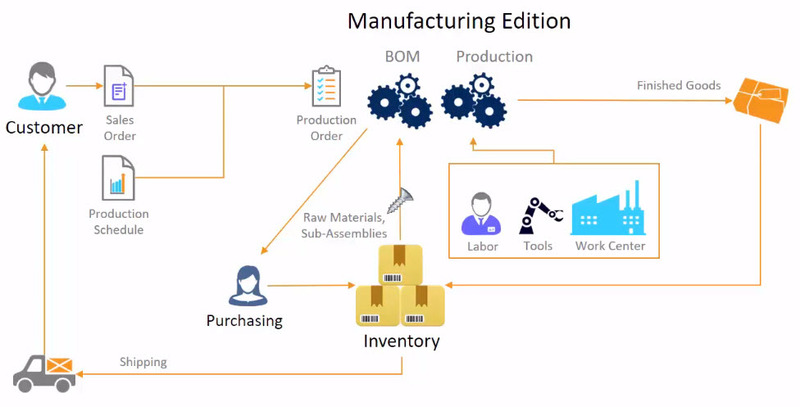 The Acumatica is an end-to-end business management system for multiple manufacturing environments including make-to-stock, make-to-order, engineer-to-order, project-centric, job shop, repetitive, and batch processing. The Acumatica Manufacturing Edition, formerly known as JAMS, integrates with the Customer, Inventory, Order Management, eCommerce, Financial, Project and Service Management Suites. As experienced manufacturing and ERP systems consultants, we help you adopt a successful strategy for growth using modern manufacturing technology in the Acumatica Manufacturing Edition platform. Let us help you discover if the Acumatica Manufacturing Edition is a good fit for your growing business. Stratotech Partners, LLC. 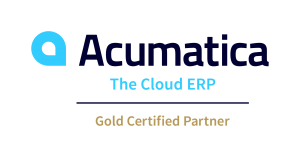 is an Acumatica Gold Certified Partner and headquartered in Seattle, Washington, serving Acumatica customers in the Seattle metropolitan area and Pacific Northwest region. Stratotech’s expertise allows them to focus on small to mid-sized manufacturing companies who are outgrowing existing systems and looking for lower cost cloud-based alternatives. Highlighted solutions offered by Stratotech are the Acumatica Manufacturing Edition and Smartsheet, the leading cloud platform for collaboration and project management. For more information, please visit our website, call 206-336-9197 or email us. Stratotech Partners is a professional software consulting firm located in Seattle, Washington that provides Acumatica ERP implementation and technical services for Acumatica ERP business partners and customers in the U.S. and Canada. Acumatica ERP is a full suite of cloud-based integrated business management applications developed by Acumatica, Inc., a software publisher with headquarters in Bellevue, Washington.